This cache is also published at geo.danq.me/wolf1. 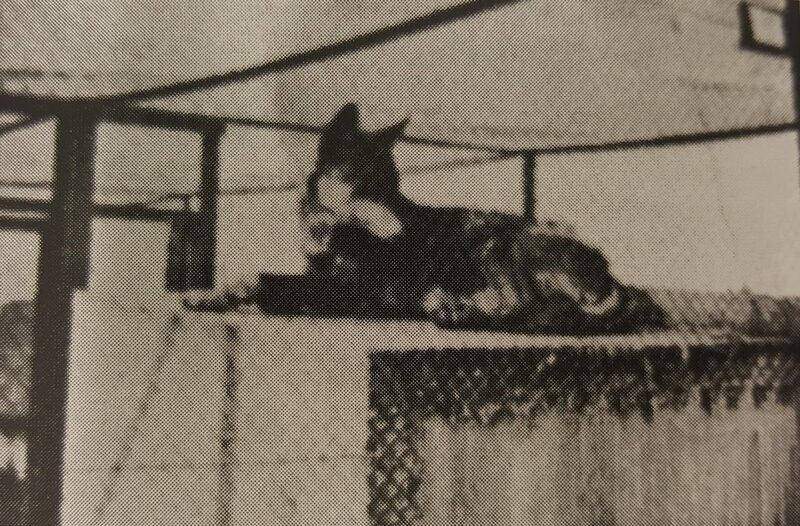 One of the three wolves, prior to its escape. Limited on-street parking is available at N 51° 49.033′, W 001° 16.942′ and N 51° 49.082’m W 001° 16.867′; be sure to park in the marked bays and obey all posted parking restrictions. If you’re being driven by a non-geocacher, it’s also possible to find the cache and sign the log in less time than it takes for them to queue for and go through the nearby car wash, which presents an alternative, albeit unusual, option.